I loved this book. 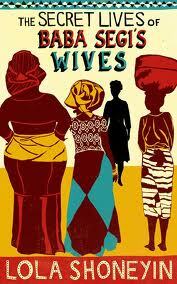 It tells the story of Baba Segi, a chauvinistic polygamist, living in Ibadan with his 4 wives and 7 children. Initially the first three wives (Iya Segi, Iya Tope and Iya Femi) are seen as monsters that despise the new wife, Bolanle; but over time we learn about their past and their secret lives. The story is told through the perspectives of the wives and that is one of the joys of the novel. The only problem was that sometimes it took a couple of pages before you realised which wife was narrating. I also enjoyed the gradual revealing of each of the wives’ secret. I found this to be an easy book to read and absolutely loved it. Glad to see you liked this one. I did as well. Thanks :). Your 419 database is such an amazing idea. Would love to add my reviews to it. When it comes to finding new books to read, being selfish is allowed ;). I've already seen a few that I want to read. Thanks! Will add any new ones I have. My sister got her copy in Nigeria, and hers has a black cover, with a pretty cool design/drawings depicting the wives. I really prefer it to the version I have if I'm honest.